Drag the slider to the right to see the before image and to the left to see the after image. 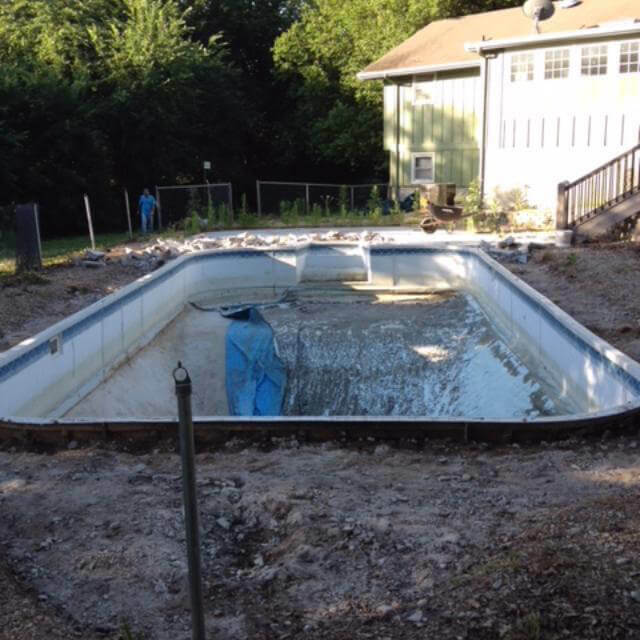 The renovation and remodeling experts at Swims & Sweeps are here to help refurbish your old pool to bring it back to like-new. 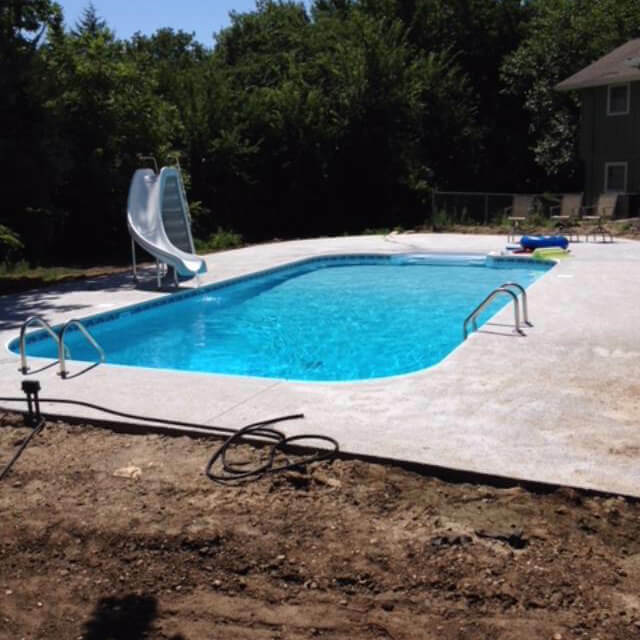 We refurbish and repair existing pools to include vinyl liner replacement, pool painting, auto covers, concrete deck repair, and concrete deck refinishing. Whether you are looking to modernize your poolscape, enhance its safety or want to add new and exciting features, we will transform your existing pool into one which meets your lifestyle and budget. During your initial consultation with us, we will survey your property and take the existing poolscape and landscape into consideration when drawing up your pool renovation plans. Our experts will then explain the process of how we can transform your poolscape, such as adding energy-efficient equipment, a therapeutic spa, replacing broken tiles or plaster, replacing damaged concrete decking and renovating your pool to include fun features like benches, tanning ledges, rock grottoes and swim-up bars. 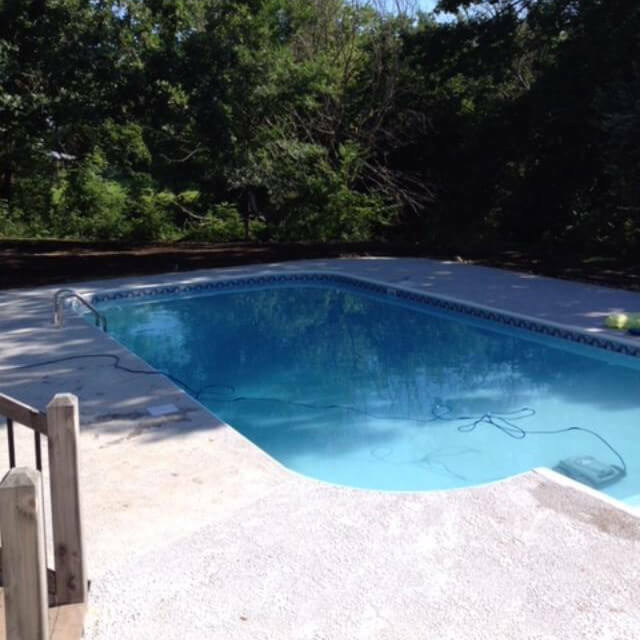 Enhancing the appearance of your pool isn’t the only reason to give it an update. 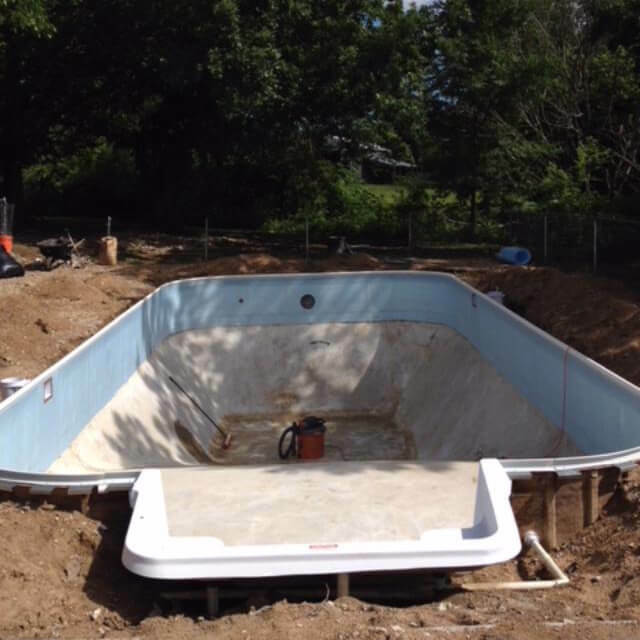 Swims & Sweeps makes sure that your pool is safe for you and your guests by replacing old fixtures and plumbing, installing pool lighting and safety covers, and solving any drainage issues you may be experiencing. We also replace aged pool and inefficient components with the latest and most innovative pumps, heaters, chlorination systems and cleaning systems so that you can optimize energy use while reducing the amount of time and money you need to spend maintaining it. Rejuvenate your poolscape with Swims & Sweeps and give us a call today!